Is cloud the alpha and omega? By Sonja Weber: Lead Delivery Solution Manager at T-Systems South Africa. Sonja Weber: Lead Delivery Solution Manager at T-Systems South Africa. * The cloud is hyped to offer cost savings and efficiency. * Businesses don't take "hidden costs" and their current operations into account. * A cloud provider can help identify if cloud is the right move and how to migrate with a transparent strategy. Cloud has been punted as the panacea to virtually every digital transformation challenge, and it's not uncommon for businesses to buy into this hype. Promises of cost reduction, improved productivity and automatic efficiency are attractive, adding to cloud's appeal. While it's true that the cloud certainly can accelerate digital transformation strategies, and there are cost savings and other benefits to be had, these can be lost under the weight of complex, expensive migrations. A common misconception is that businesses can seamlessly move from existing systems to the cloud with little to no effort. This is not always the case. 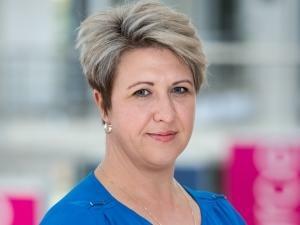 In fact, most cloud migrations are complex projects of fairly large scope, involving many processes, people and change management, says Sonja Weber: Lead Delivery Solution Manager at T-Systems South Africa. Another commonly held belief is that the cloud will solve all business problems. However, many organisations that successfully shift to the cloud are often surprised, and disappointed, to find they have many of the same business problems that they had before the move. The cloud may enable many digital goals depending on what functionality is leveraged. However, at its core, it's simply a replacement of physical infrastructure with cloud-based infrastructure; the same interconnects and challenges will remain. Finally, cloud is touted as being incredibly cost-efficient. And it is, in most cases. However, the cost involved with migrating to the cloud can negate any cost savings to be had once the move is made. There are also additional costs to consider around increasing international bandwidth and complying with international regulations. Many businesses also have sunken investments in their existing infrastructure, which needs to be modernised before the move to cloud. Organisations don't always factor in everything that is required, revealing "hidden costs" and "surprise expenses". Much of the disillusionment around cloud migrations comes from believing the hype and making the move without fully investigating and justifying the reasons to move to cloud. Businesses are left with a shiny new system, but it looks and feels the same as what they had before. Organisations need to take a step back, first, and understand the way their business is currently operating and what steps need to be taken to get to where they want to be. Cloud should be considered as an enabler, but only if it will enable the business to achieve its goals. They need to measure their current position alongside their goals, assessing where cloud can and will address their needs, as well as where it won't. Things they need to consider include their current infrastructure investment and how it needs to be modernised to be able to move to the cloud; what can be achieved with cloud that they may not be able to achieve currently; what their current running costs are versus the costs of running on the cloud; the costs involved in training users for the new platform; etc. In most cases, it makes sense to consult with a cloud partner who can work with you to assess your business and your goals, and work out a complete, holistic migration strategy that is transparent in its costs, capabilities and requirements to modernise as needed. What can a partner offer? A cloud partner who understands the cloud and has experience across multiple industries will be able to identify common pain points and requirements. Cloud partners who have successfully migrated customers from various verticals onto the cloud will have an understanding of the challenges and how best to address them, transparently showing a business what to expect before they migrate, and even pointing out where it may not make sense. The cloud is built for the commodity space, and may not be the right solution for all industries. Often, a migration makes more sense for a hybrid model, where only parts of the business are moved to the cloud, while others remain firmly on-premises. Cloud providers can provide a modernisation plan for existing infrastructure, which needs to be tackled before a migration can happen, as some systems are not designed to be operated on the cloud and need complete revision before they are cloud ready. In many instances, the smallest, seemingly most inconsequential factor can completely disrupt a migration. For example, a hardwired printer system may prove incompatible with an ERP system that has moved to the cloud, requiring a need for the entire printer system to be modernised before functionality is enabled. The cloud offers many benefits and may provide both cost savings and desired efficiency; however, consulting with a partner before migrating can mean the difference between a cloud solution that works for you, and one which leaves you with a bitter taste in your mouth.